On Tuesday, March 12, those of us gathered at Connecticut College witnessed a moving presentation by an individual very familiar with the “sharp end” of US foreign policy. CJ Chivers, soldier, author, and Pulitzer Prize winner, left us in little doubt of his opinion that “We the People” have lost touch with said policy. Chivers, in New York City on 9/11 and overseas as a soldier a few weeks later, proposed that the War on Terror has failed by its own terms, and is now part of a national fantasy or myth about our role in the world. He expressed concern that a large proportion of the American public have become disengaged from the war: we do not “see the war” because of the absence of a vocal anti-war movement and the fact that many of us do not have a direct involvement through family members engaged in military operations overseas. The latter, he believes, is related to the absence of a Draft. That said, Chivers was not necessarily arguing for a return of the Draft … but that we should at least think about what a Draft would mean and how that should influence our ongoing support for war. In no way was Chivers disrespecting or disregarding the courage and suffering of the men and women on the front line. 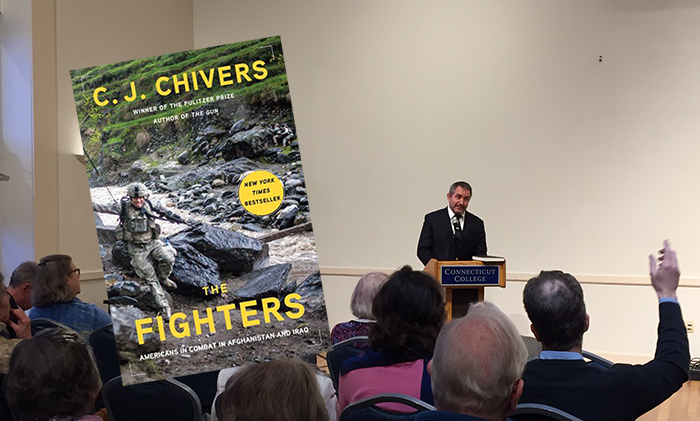 This was particularly clear when he read a brief passage from his book “The Fighters: Americans in Combat in Afghanistan and Iraq ” – a grim and moving description of an attack on a column of American Humvees near Fallujah in which Joe Dan Worley, a Navy corpsman, had to bind his own devastating wounds before he could be rescued. Chivers commented that there were parts of his book that he had trouble reading even now, a reflection of the dust jacket note that “The Fighters is a tour de force, a portrait of modern warfare that parts from slogans to do for American troops what Stephen Ambrose die for the G.I.s in World War II and Michael Herr did for the grunts in Vietnam”. As usual, SECWAC will buy 2 copies of the book for donation, one to each of the New London and Old Lyme Public Libraries, in recognition of the two towns in which we host most of our meetings. 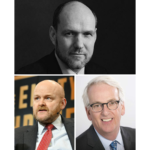 Our next meeting will be held at the First Congregational Church in Old Lyme on April 11, when Stephen Walt, the Robert and Renee Belfer Professor of International Affairs at the Harvard Kennedy School, and author of “The Hell of Good Intentions”, will present on “America’s Foreign Policy Elite and the Decline of U.S. Primacy”; professor Walt will sign copies of his book at the end of the presentation.